Smart cities are forward-thinking municipalities that employ the Internet of Things (IoT) to improve their infrastructure and make functions like maintenance, waste processing, traffic control, emergency response, energy usage, and water conservation more efficient by communicating with one another. Though smart cities may seem straight out of “The Jetsons,” they’re the next logical step for the IoT. Infrastructure that effectively manages resources and improves citizens’ lives will become popular in the not-so-distant future. While amazing and efficient, these technological advancements, however, bring with them the threat of cyberattacks. So, how can we protect ourselves and our cities? We must begin to build tomorrow’s smart cities to ensure that the right people have access to both data and the network. City officials and designated IT providers could have varying levels of access, depending on their clearance levels. 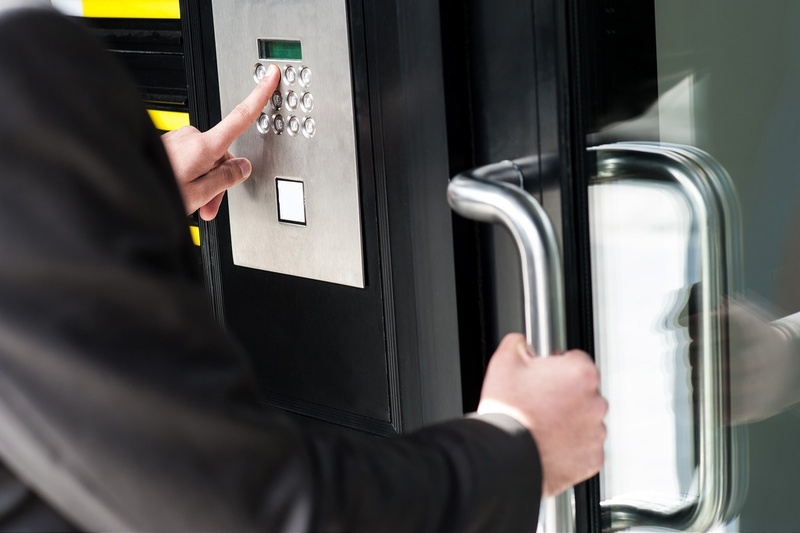 The best kinds of digital access control systems feature layered security; in other words, different protections will exist for data transmissions, aggregations, and smart network data processing. Data centers make up the heart of IoT, whether they’re on premises or offsite. From smart buildings to autonomous vehicles, all IoT-connected devices rely on data. As such, disaster recovery is a central part of a smart city’s infrastructure. If a server goes down, city officials should have a plan in place to get systems online as soon as possible, as well as a contingency plan for the recovery of previous workloads. Routine backups are essential to maintaining and restoring order. Cities should store backups offsite to avoid catastrophic losses. There are those who believe that hardware is irrelevant and that smart cities will use large-scale software deployments. But hardware will play an integral role in smart city design—think sensors, integrators, switches, and beacons. Enterprising cyber attackers will be able to hack into hardware or software, compromising vast amounts of data. For example, manipulating software codes could disrupt an entire power grid, leading to large-scale interruptions in power for citizens. Smart-city infrastructure must be monitored 24/7 to prevent such attacks. Network intrusion detection systems (NIDs) function to inspect all inbound and outbound network activity, identifying any threat of an attack. Unauthorized use of networks can lead to wiretapping communication systems that compromise the safety of an organization and its citizens. While important, NIDs aren’t the ultimate safety device. Cities should use them in tandem with other security measures to create a comprehensive safety net. Correct configuration is important to ensure NIDs align to a city’s security objectives. We haven’t fully realized the potential of a cyberattack on a smart city. Imagine your hometown at rush hour without any working stoplights, and you can begin to understand the kind of chaos an attack can wreak. One way to avoid this scenario is to test technology continually as it evolves. According to one study, as many as 200,000 vulnerable and untested traffic sensors are online in large cities around the world. Municipalities need to think beyond testing for things like weather resistance and redouble efforts related to assessing and decreasing their vulnerability to cyberattacks. Cities should test all smart devices in city infrastructure rigorously before they are installed on the streets, and should continually assess them as technology evolves. The smart cities of the future hold a lot of promise and many challenges. By observing some basic cybersecurity best practices, city officials will ensure their success.